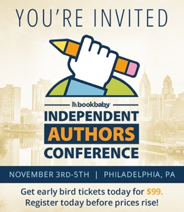 I have been thinking about conferences a lot lately because I will be traveling to Philadelphia for Bookbaby.com’s first #IndieAuthorsCon in November. I have also been updating the flagship book in my multi award-winning #HowToDoItFrugally Series of books, The Frugal Book Promoter, and ran across this excerpt. So naturally, I wanted to pass it along to you. After all, all conferences were not born equal. You want to choose carefully. Choosing a conference can be tricky. Many conferences are expensive. Even free online conferences can take a lot of time. This is one of those occasions when it pays to be picky. Determine your goals and choose a conference accordingly. Some focus almost exclusively on craft and often call themselves retreats. Some offer seminars in book marketing. Others tend to be entrées to agents and publishers, and some offer information on publishing like the legalities of copyright law. Some do a little of everything. Do not choose a conference based on its exotic location unless your first interest is a vacation. If you choose a conference that offers critiques of your work by publishers or agents for an additional fee, spend the extra money to participate. And if you wait until later, you may have to kick in another full conference fee for the privilege. If signing with an agent is what you are really after, wait until your book or proposal is fine-tuned to go to a conference. Hint: If pitching an agent is your primary goal, be sure agents who specialize in your genre will be there by reviewing the conference Web site. Register for the conference early enough to be assured of an audience with your choice. Determine the thrust of the conference you will be attending. Because of proximity and prestige, UCLA (uclaextension.edu/writers) has access to Hollywood as a resource. This makes their conference one of the best for screenwriters. Other conferences have their own specialties. If you want to find time to concentrate on your writing, you may prefer a writers’ retreat rather than a conference. Examine the credentials of the conference presenters. If you write persona poems, you may want to study with a teacher who has had success writing that specific kind of poetry like UCLA’s Suzanne Lummis. A person who is interested in writing courtroom dramas will benefit from an instructor who has published in that genre. Another bona fide educational institution that offer onsite and Web classes are Gotham Writers’ Workshop in New York (writingclasses.com). You may find a good one in your town. Until you’re sure you can utilize an expensive conference to its fullest, select seminars offered by some online conferences like Jo Linsdell’s PromoDay (jolinsdell.com). It is free, though you are encouraged to make a small donation to defray costs. It’s also a good idea to take the same precautions selecting a free online conference you would take choosing an expensive on-site conference. Time is money. Hint: Bring a small pouch of tools with you to conferences. I use a bag I received with an Estée Lauder gift-with-purchase. Toss into it color-coded pens, snub-nosed scissors (sharp ones may not get you through airport security), a small roll of cellophane tape, your index labels, paperclips, strong see-through packing tape (in case you must ship materials books and other materials back home), ChapStick, hole puncher, breath mints, a tin of aspirin, elastic bands, Band-Aids, and your personal medication. If you are presenting, throw in a hammer, tacks, razor, a small pair of pliers and a mini measuring tape. Mine even has a spool of very fine wire for hanging large posters. Don’t unpack this kit when you get home. You’ll need it in the future for other conferences, book signings, book fairs, and other promotional events. You can use a conference to promote, too. Some conferences offer tables where participants can leave promotional handouts for their books or services. Before you leave home, ask your conference coordinator how you might utilize this opportunity. Ask the conference coordinator if they publish a newsletter or journal. If so, send the editor media releases as your career moves along. Take your business cards to the conference. If you have a published book, take your bookmarks to give to others. If you have an area of expertise that would interest a conference director, introduce yourself. She may be busy, so keep your pitch very short and follow up later. Record the names of fellow conference attendees and presenters who might give you endorsements for your book in the future. So, if you are searching for a conference that will hone your marketing skills--in other words, it will help you nudge your book toward stardom, please check out Indie Authors Conference coming to Philadelphia November 3, 4, 5, 2017. Until June 15 they offer an $89 early bird registration fee and it's one of the most frugal conference fees I have ever heard of. On top of that, if you use my name, "Carolyn," you will get an additional $10 off. Again, only until June 15. I hope to see subscribers and visitors to Writers on the Move there! poetry, Tracings, was named to the Compulsive Reader’s Ten Best Reads list and was given the Military Writers’ Society of America’s Award of Excellence. Her poem “Endangered Species” won the Franklin Christoph Prize for poetry. She speaks on Utah’s culture, tolerance, book promotion and editing and has appeared on TV and hundreds of radio stations nationwide. 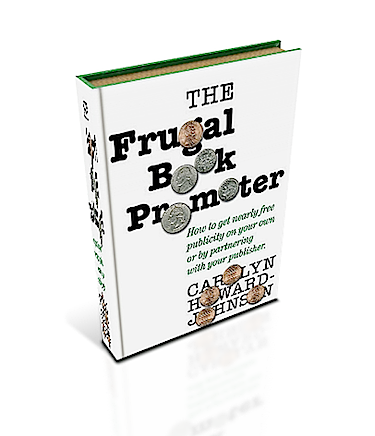 Both The Frugal Book Promoter and The Frugal Editor are in their second editions and have awards from names like USA Book News, the Irwin Award, Dan Poynter’s Global Ebook Award, Readers’ Views Literary Award and Next Generation Indie Book Award. How To Get Great Book Reviews Frugally and Ethically: The ins and outs of using free reviews to build and sustain a writing career is the newly released third in the HowToDoItFrugally Series of book for writers. You've packed some great insights and wisdom about conferences into this article. Thank you. Now the key is for those writers who read it to actually take the information to heart and apply it to their conferences. As an editor, I know the writers who come prepared standout from others. It takes advance planning and effort to come prepared--which is why many people don't do it. Then they wonder about the value of the event. I have been to a couple of your seminars, Terry. It is hard when one works so hard and then leaves fearing that our audience still harbors so many fears that they can't benefit. You are right. It often has little or nothing to do with the event itself. It's about state of mind and preparation. 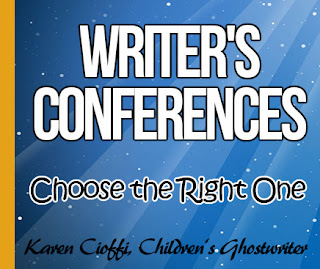 Carolyn, these are great tips for authors thinking of signing up for a writer's conference. I agree with Terry, you've shared lots of experience and wisdom to help writers find the right conferences and be prepared for them! Thank you! It means more because I know that you have my how-to books on your library shelves.